Special acknowledgement to the Motorola Foundation. 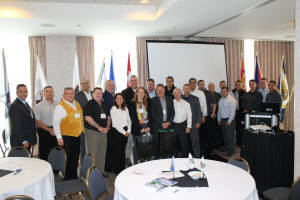 In this session, we were able to train twenty seven (27) First Nations Chiefs of Police or designated First Officers, in training that was an integral part of their existing duties. 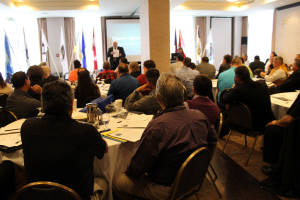 Without the support and presence of the Professional Development Center for Aboriginal Policing providing presentations on the Canadian Police College, Motorola Solutions and related training material is key to our success on providing valuable service to the FNCPA. In October 2014, FNCPA has joined efforts in training with CPC during the October 2014 General Meeting. As another learning tool for members, the Executive have also planned another session for members at the next Annual General Meeting and Conference. Room Reservations — Rooms will be blocked at a discounted rate and delegates are responsible for making their own individual reservations. For ease of booking callers must identify group: First Nations Chiefs of Police Association. The discount deadline date for reservations will be posted.